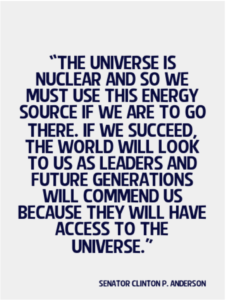 Since the early days of the Space Race, it has been known that nuclear power and propulsion would be the essential drivers of any serious human expansion into the Solar System. Over the decades, much research and development has gone into various nuclear power and propulsion systems to be used in space. The website is dedicated to the promotion of these technologies and their further development so that they can be used in exploration and the economic development of space.